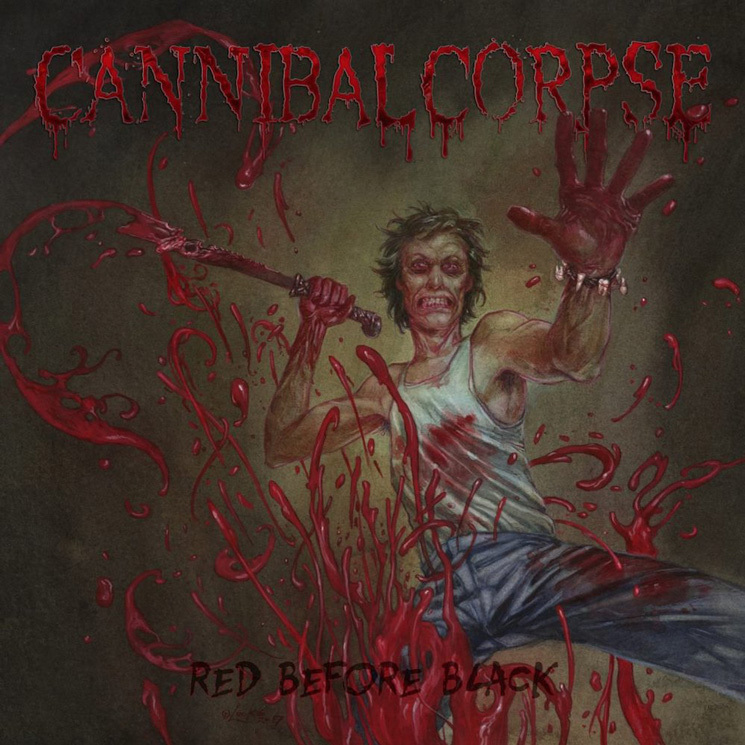 There isn't much a person can count on these days, but Cannibal Corpse releasing consistently top-notch death metal albums is definitely one of them. Their new album and 14th full-length to date, Red Before Black, lives up to the hype they've amassed over the past three decades. Since 2006's Kill, the Florida-based (by way of Buffalo, NY) death metal legends have been on the upswing, releasing album after album of crushing material that harkens back to their early '90s roots while pushing their sound forward. Red Before Black is no exception, as the band churn out 12 gruesome, blood-soaked tracks. The followup to 2014's A Skeletal Domain contains the same kind of streamlined quality expected from recent Cannibal Corpse releases, while maintaining the brute violence and aggression they've always been known for. From the breakneck speed of tracks like "Only One Will Die" and "Firestorm Vengeance" to groove-filled slower cuts like "Code of the Slashers" and "Scavenger Consuming Death," Red Before Black is everything you know and love from the gore-obsessed band.